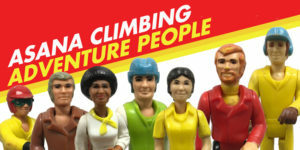 From 1975-1985 the toy company Fisher-Price sold a line of action figures called Adventure People that featured characters in different adrenaline-inducing endeavors such as kayaking, mountain climbing, and sky diving, to wilderness patrol and emergency rescue. Jamey Sproull grew up playing with these action figures and incidentally forged his own adventurous career path by founding Asana, the popular bouldering gear and custom padding company. Sproull dreamed up Asana in his garage in 1999. Unexpectedly, he didn’t start with a passion for climbing. He was interested in sewing soft goods, and was considering starting a business making yoga clothing when a friend introduced him to bouldering. As often happens with climbing, he was hooked. Quickly his primary focus became bouldering, and at a time when the sport was still in its infancy, Sproull employed his sewing skills to begin making bouldering gear: pads, packs, and chalkbags. Today Asana still sells personal bouldering gear such as clothes and crash pads, but also specializes in custom padded flooring for gyms. This was a natural progression for the company, which was growing at the same rate as the sport of bouldering. As the sport transitioned into a popular indoor activity, Sproull took advantage and applied the knowledge of building padded surfaces to interior spaces. He started small with a few jobs installing flooring at Universities, and eventually expanded to gyms. At the beginning stages Sproull focused on developing a commercially viable product. As he built custom landing systems he continually asked himself “how does the product look? How does the product perform on day one? And how does the product perform on year four?” Using feedback from his first customers, he was able to improve his designs and find the very best foam for Asana’s products. As Asana has grown, the company has maintained its attention to detail and has kept all of its production right here in the U.S., where every employee is skilled in building each of Asana’s products from the ground up. Since Asana primarily works on custom orders, the work is kept in house instead of sent off to big sew houses so that the turn-around time can be short and the product can be made specific to the customers’ needs. But Sproull saw a need for a gym in Boise when he realized that local climbers had no idea that all of Asana’s manufacturing happened right in town. “We really wanted to connect with our local friends and customers and community, and so having the gym was a good way to do that.” In 2013 Asana acquired the Front Climbing Club in Boise, renamed it the Asana Climbing Gym, and ran it for two years until it became clear that the gym was outgrowing its space. Around the same time Asana’s manufacturing department was bursting at the seams, so Sproull found a new home for both sides of his company in downtown Boise: a 28,000 square foot building that is split with 18,000 square feet for the gym and 10,000 for the manufacturing, doubling the size each was before. The new space opened for customers in January 2017. This new gym offers much more than just climbing. 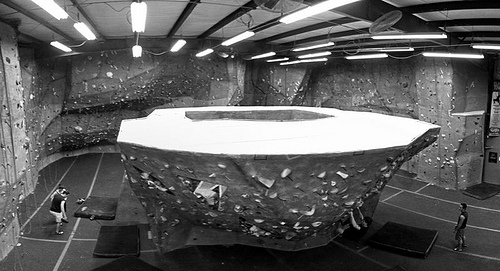 While it is mostly a bouldering facility with a small rope climbing section, it also offers massage, slacklining, yoga and aerial silk classes, and features a ninja obstacle course. “We are just a wonderland of fun things. 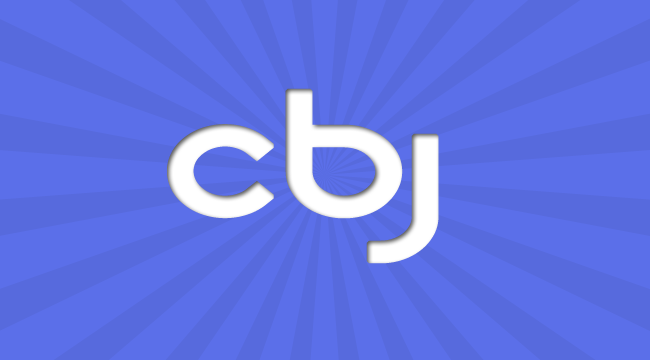 You are guaranteed to find something fun to do here,” Sproull said. Along with the gym’s ability to unite families through climbing and to provide a hub for the local community of climbers, Asana puts people first through its business practices. Since all the manufacturing happens in Boise, all of the employees are Boise locals, many of them climbers supporting their own adventurous pursuits. Five years ago the manufacturing side of Asana made a commitment to hire refugees for part of its labor force. Connecting with advocacy groups such as Idaho Office For Refugees, Artisans For Hope, and the International Rescue Committee, the company is able to provide stable jobs to refugees living in Boise. Currently four full-time employees are former refugees from the countries of Congo, Eritrea, and Columbia. “One thing that probably is being missed is that they’re people as well with the same basic desires for safety, security, and for a loving community. And we really are psyched to be a part of their life.” Sproull said. Rita Thara, one of Asana’s sewers, is a refugee from the Democratic Republic of Congo. She came to the US with her mother and brother and was introduced to Asana through her caseworker. Now she has been a member of the team for four years. Employees, gym patrons, and customers who purchase Asana products can all share in the American-made, adventurous ethos of Asana. This is a company that is comprised of adventure people, for adventure people.